On the 24th of March hundreds of thousands of mostly young students rallied on Penn Ave demanding an end to the massacres in their schools. At the very lead of the entire march was an African-American survivor of the Parkland Massacre and Black Lives Matter DC, which had sucessfully taken the lead position. 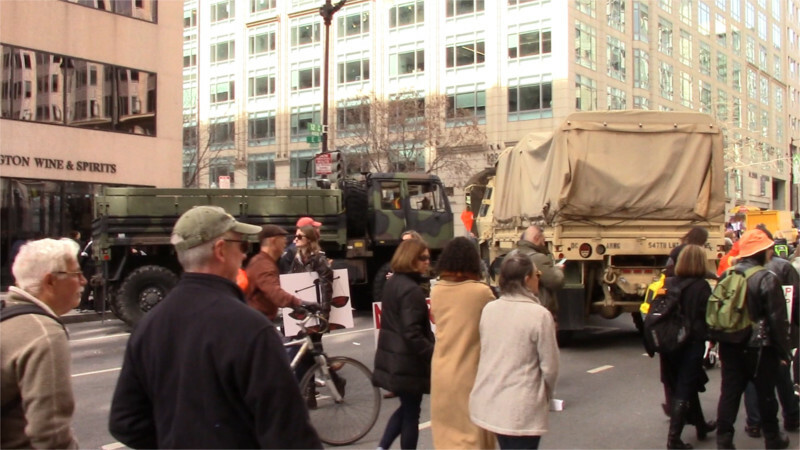 National Guard trucks in the street looked like Baltimore 2015 or J20. Dear Radio Friend, This week's show features stories from Spanish National Radio, Radio Havana Cuba, NHK World Radio Japan, and Sputnik Radio. From SPAIN- A Spanish migrant rescue boat has been impounded by Italian authorities after rescuing more than 200 migrants off the coast of Libya- an Italian judge suspects the boat was colluding with traffickers. Read more about The Shortwave Report 03/23/18 Listen Globally! Read more about The Shortwave Report 03/09/18 Listen Globally! 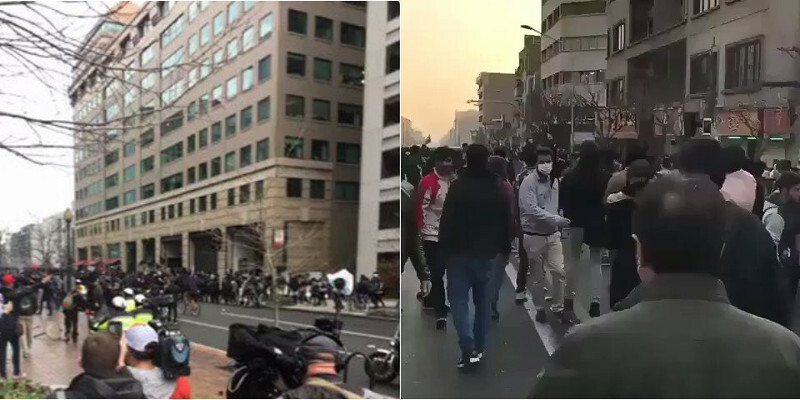 DC 2017 on left, Iran 2018 on right: who does Trump want to jail for 65 years? The Wireless Telecom Industry is hell-bent on installing 4G/5G antennas and infrastructure in the public rights of way in residential communities around the country and is aggressively pushing legislation at the federal, state, and local levels. A coalition of groups is planning a rally on April 20, 2017, to oppose the forced installation of 4G/5G "small cells" in our neighborhoods and to protect the zoning rights of local communities. On Thursday, April 6, Trump ordered US forces to level the Syrian airbase from which the April 4 chemical attack on Khan Sheikhun was launched. An estimated 50 Tomahawk missiles were used. Trump said it was indisputable that Assad's regime had fired chemical weapons. Also indisputable is that Trump's Jan 20 Inaugural parade would not have reached the White House without wholesale use of chemical weapons by police against anti-Trump protesters. 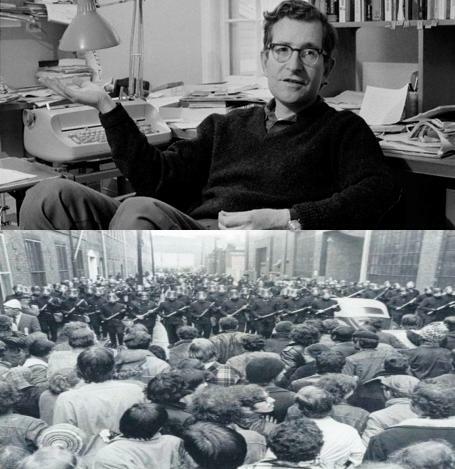 <p> It is now fifty years since Noam Chomsky published his celebrated article, <a href='http://www.nybooks.com/articles/1967/02/23/a-special-supplement-the-resp...'>'The Responsibility of Intellectuals'</a>. Few other writings had a greater impact on the turbulent political atmosphere on US campuses in the 1960s. Bring back the DC swamp! Read more about Bring back the DC swamp! Read more about The Shortwave Report 12/02/16 Listen Globally! 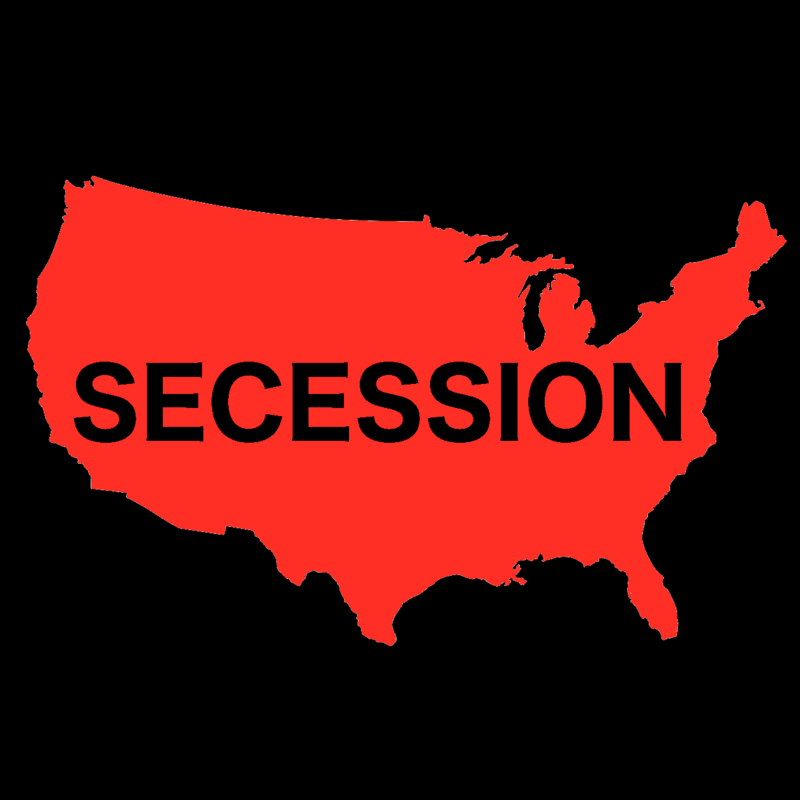 Secession is the departure of a group or community from a larger organization such as a state, province, country, or empire. Talk of secession has increased since Trump won the presidential election. Secession is the correct response to the election of Trump. States, regions, counties, towns, and cities should secede from the United States. Cities and states where most people did not vote for Trump must secede from the US. The United States is not worth saving. President Trump will bring oppressive, right-wing policies to places where most people did not vote for him.